Shane recently earned the coveted CERTIFIED FINANCIAL PLANNER™ certification, having already earned his Series 7 and 66 federal securities licenses as well as his Series 24 license – a supervisory license for brokers trading in stocks, options and general securities. In addition to building his own base of clients, Shane provides assistance to Doug Horn in the management of millions of dollars in Quality Financial Concepts client investments, and he assists in offering investment advice and guidance to members of the Appalachian Community Federal Credit Union. 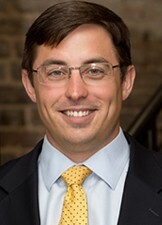 Prior to joining QFC in 2011, Shane graduated from the University of Tennessee at Chattanooga with a degree in accounting. In 2013, he married his college sweetheart, Sarah, who is an attorney with a local firm.